What can I say about Explodent, without feeling sad that he is gone -- he was amazing. Not only as a stallion, but also as a friend that I could go to when times were rough. We went through difficult times and I used to go into his stall (he would lay down at night) and cry on his shoulder -- literally. 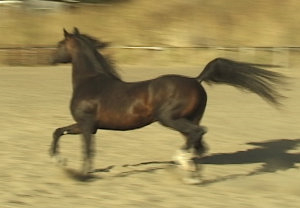 He was always in pain despite the medications we gave him for his chronic laminitis, yet he never wanted to give up. He gave me the courage to go on without complaints. 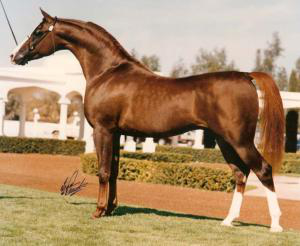 Click on his name for his Russian race bloodlines and those of his dam, who produced many halter champions.